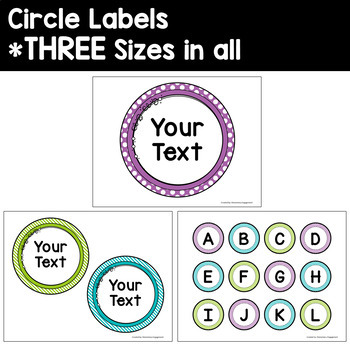 Have fun creating a huge variety of coordinating labels and signs in bright purple, turquoise, and lime green! 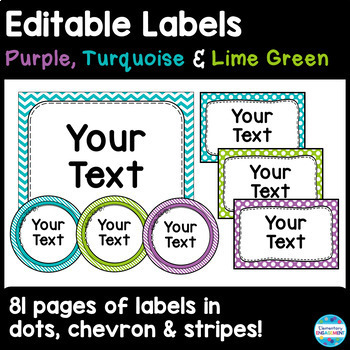 All templates include a variety of chevron, dots, and/or stripes. Text boxes are already added for easy editing. 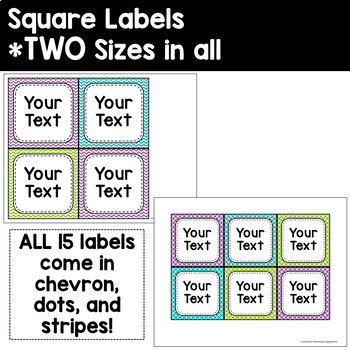 20 labels 3" X 4"
18 labels 4" X 6"
20 labels 3" X 5"
18 labels 2" X 3"
36 labels .8" X 4"
*Please open the preview for a detailed look at the contents. This product coordinates well with the following items. Click on the link below for a discounted bundle of all of these products. 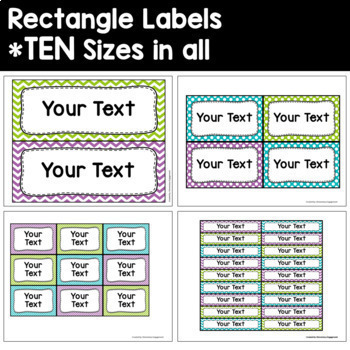 Click here to view more products to help get you ready for the school year. Follow my blog for information on education apps, electronic resources and a wide variety of free printable activities. Looking for more ideas? Follow me on the links below. *Please let me know if you have any questions about this product. I want to make sure you are happy with your purchase.